I am an evolutionary biologist and behavioral ecologist interested in conservation issues. Having worked at University College London and the University of Lausanne, Switzerland, I now work for Bristol Zoological Society, based at Bristol Zoo (UK). 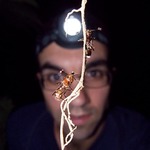 I investigate how animal behaviors change and evolve in response to variation in the environment.